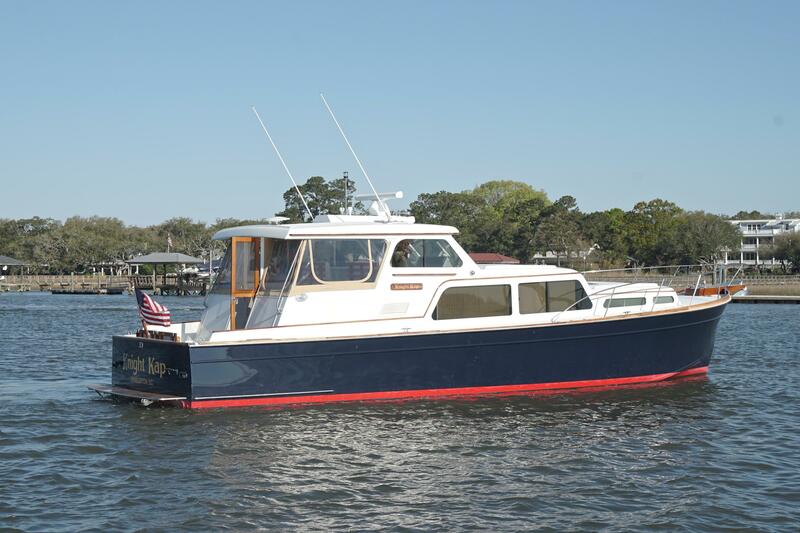 2003 Huckins 44 Atlantic "Knight Kap"
2003 44' HUCKINS "KNIGHT KAP" was refit by her original owner in 2016-2017 to bring her back to like-new condition. 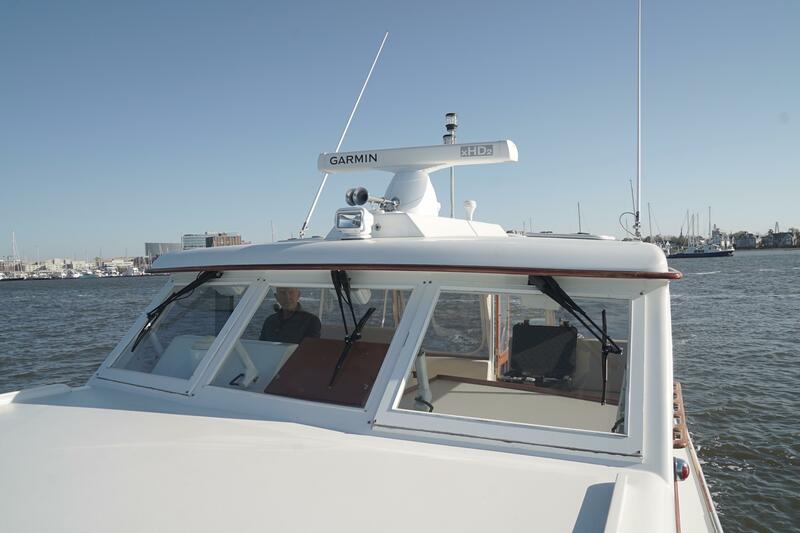 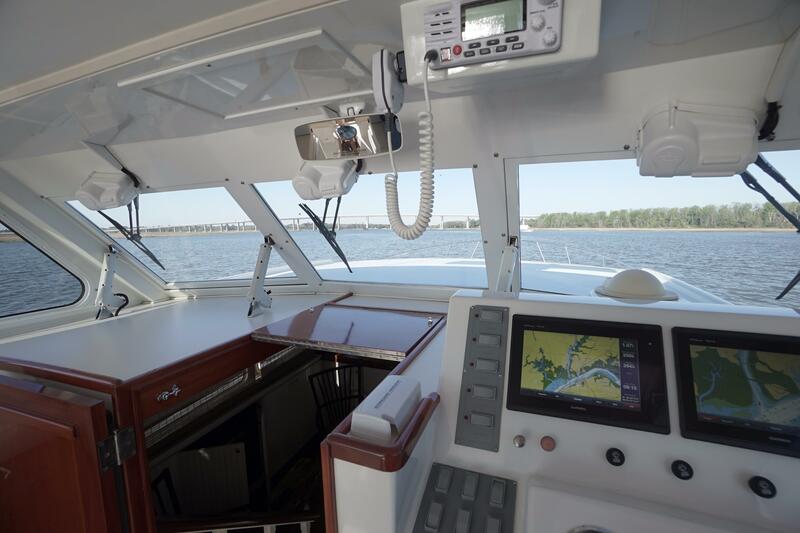 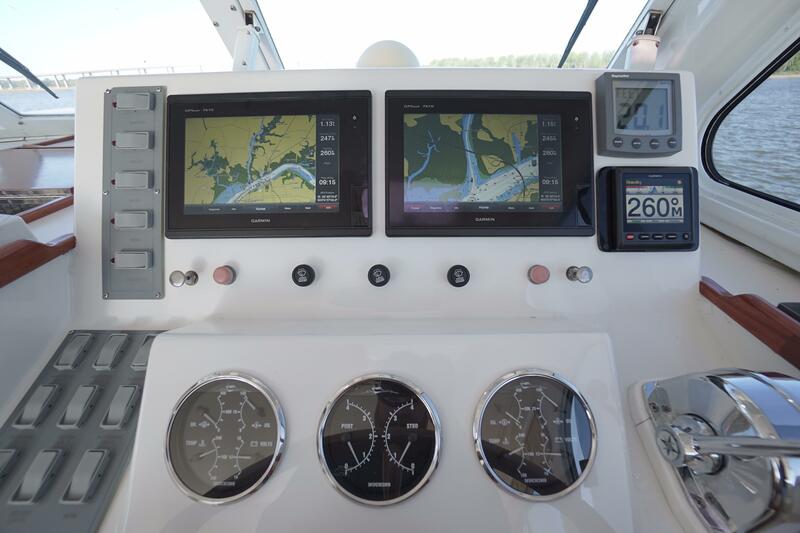 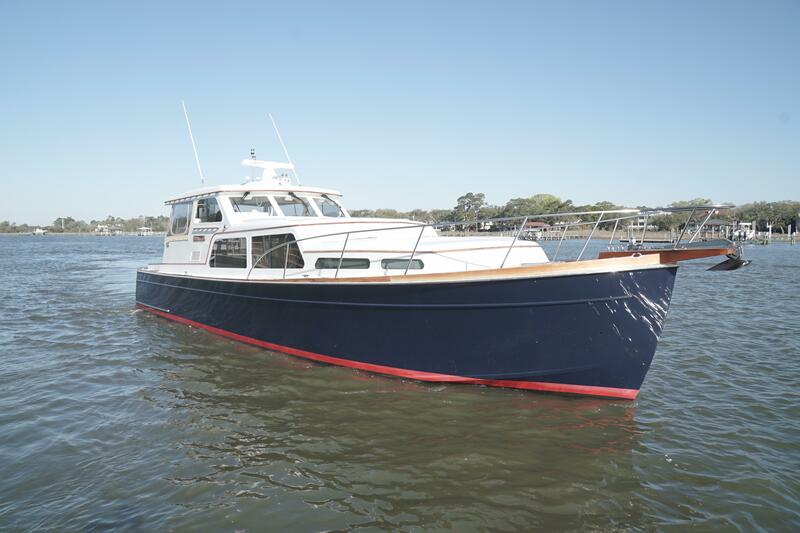 The refit featured a complete Garmin electronics package, new Audio Video, Awlcraft Flag Blue Hull and Insignia White topside paint. 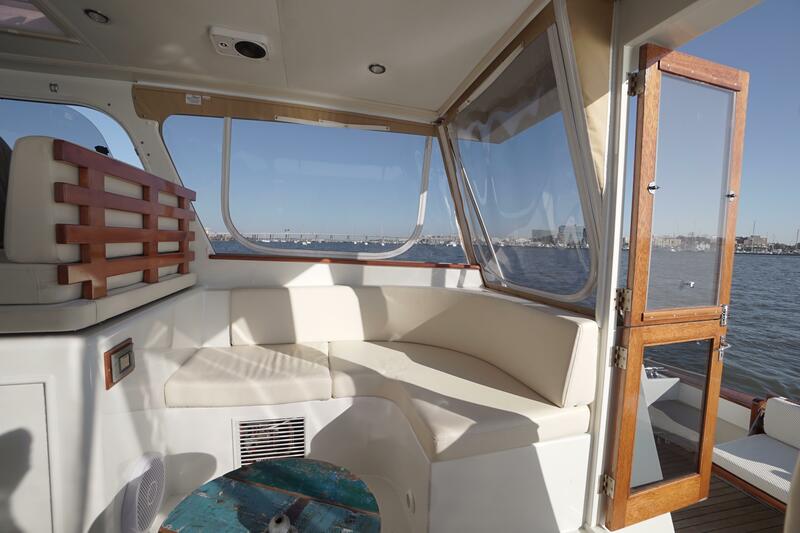 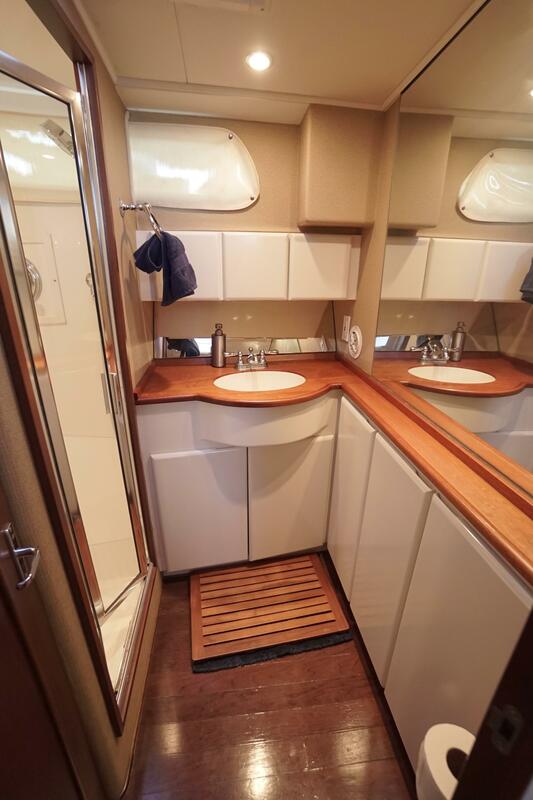 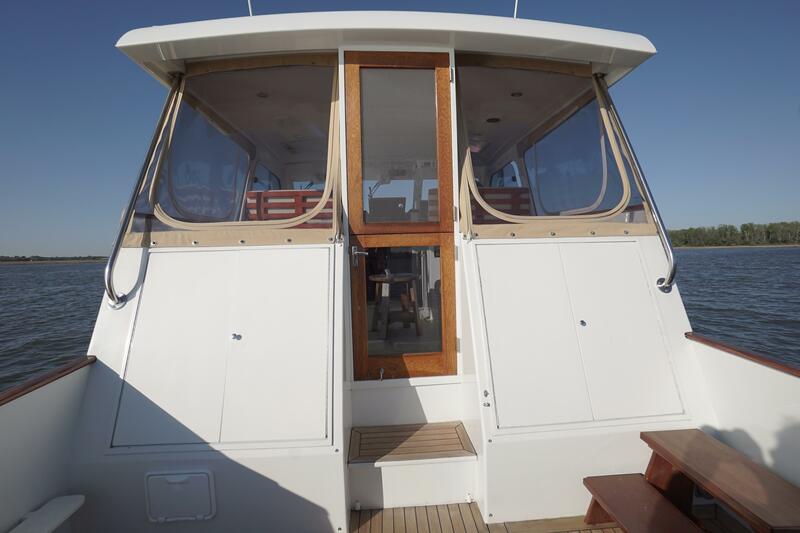 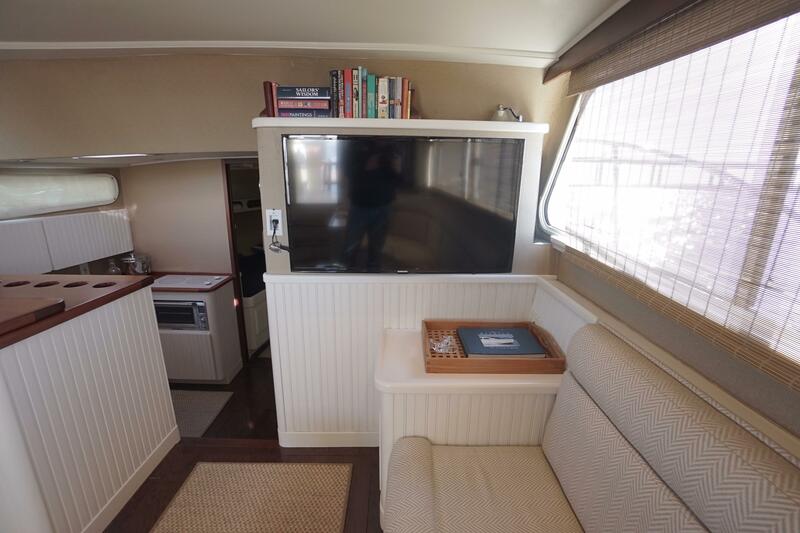 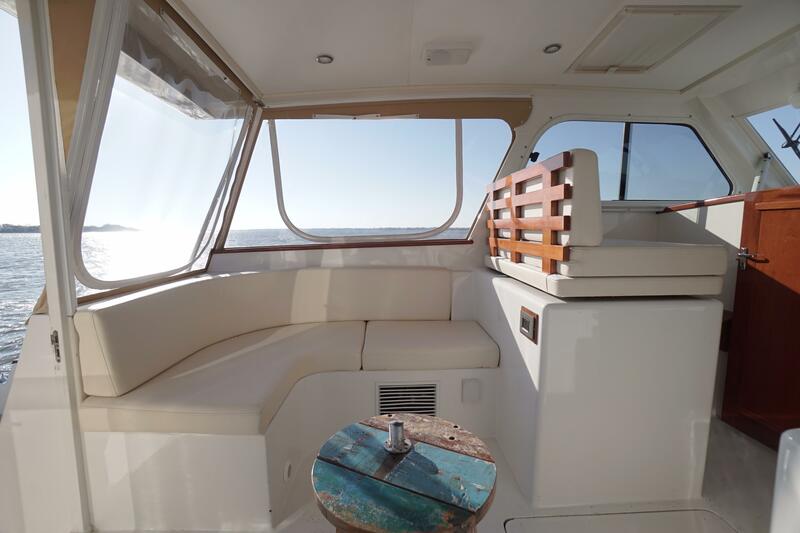 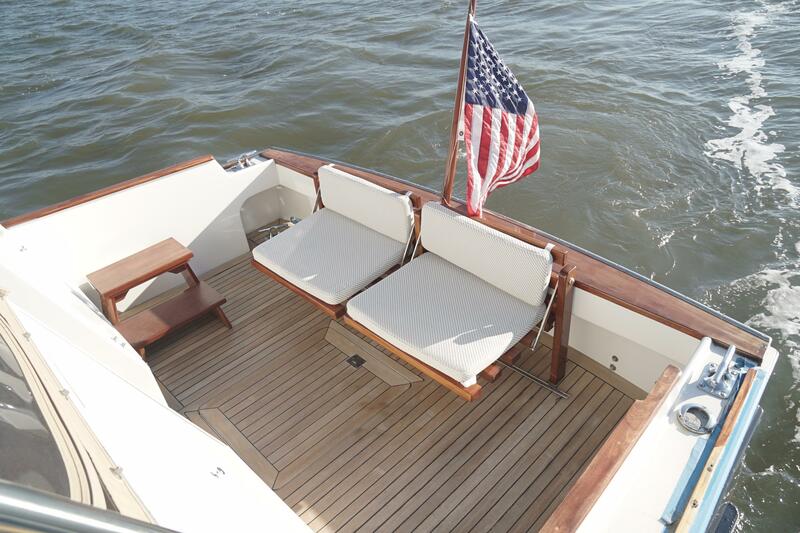 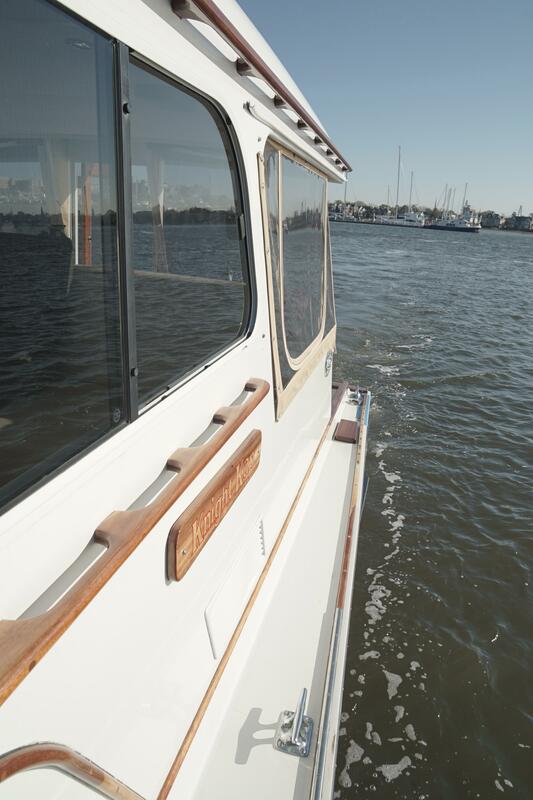 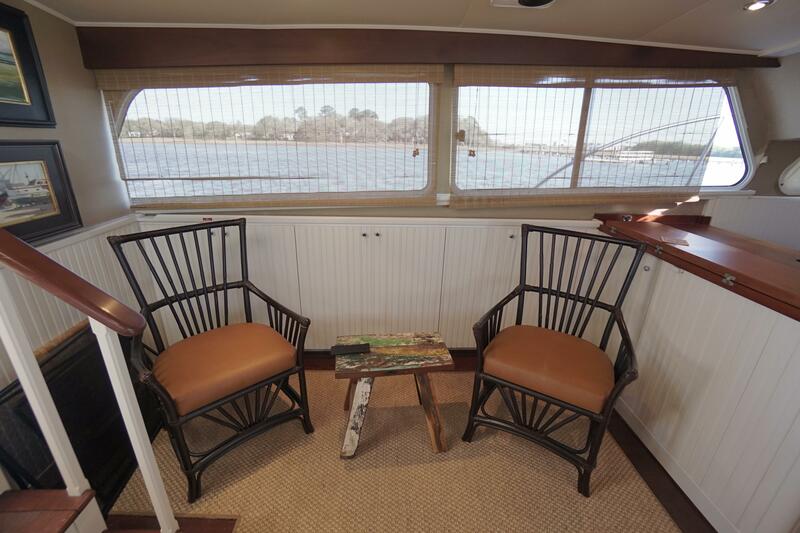 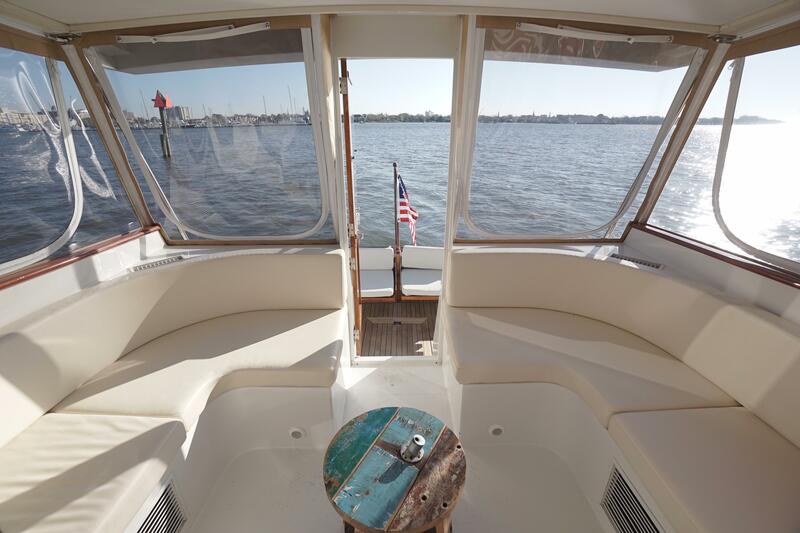 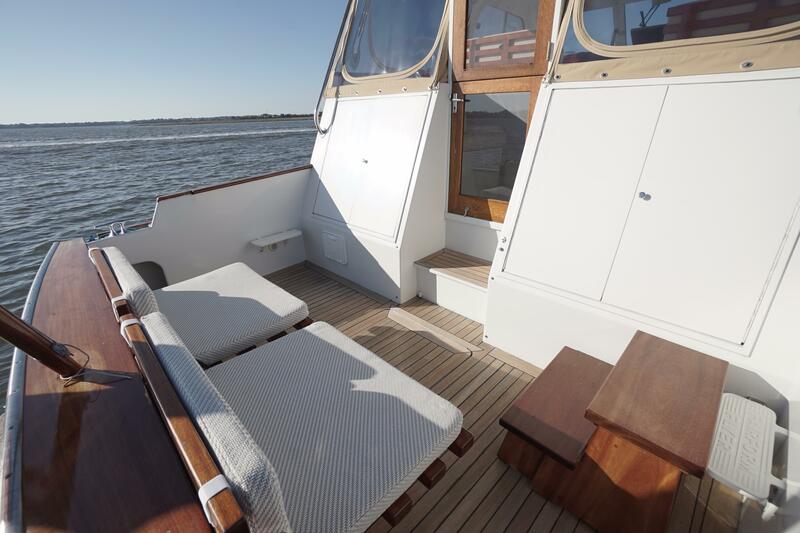 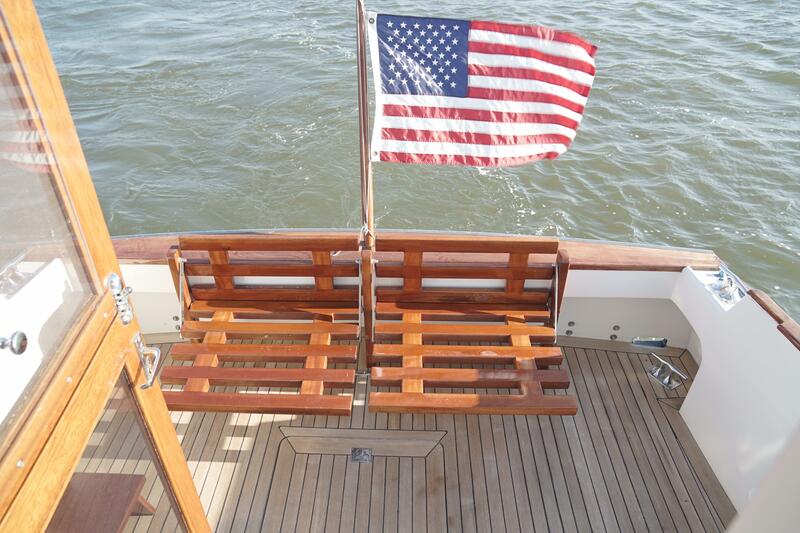 The teak and seats in the cockpit of this HUCKINS 44 ATLANTIC were refinished, the bow pulpit stripped and re-varnished, A&M Marine completely went through the Cummins Engines and replaced anything that wasn't perfect at a cost of $47k. 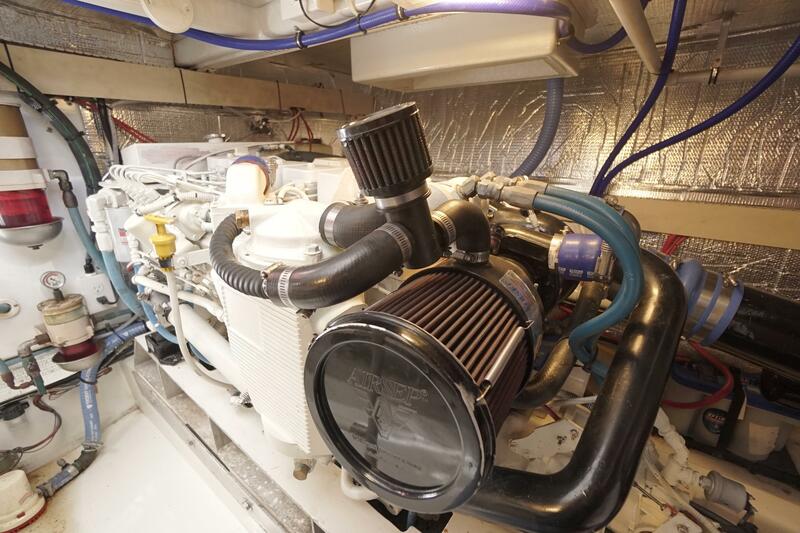 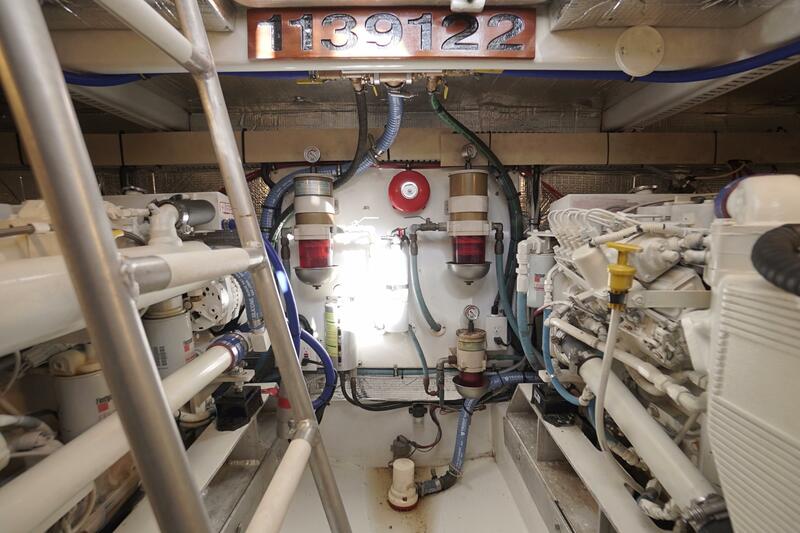 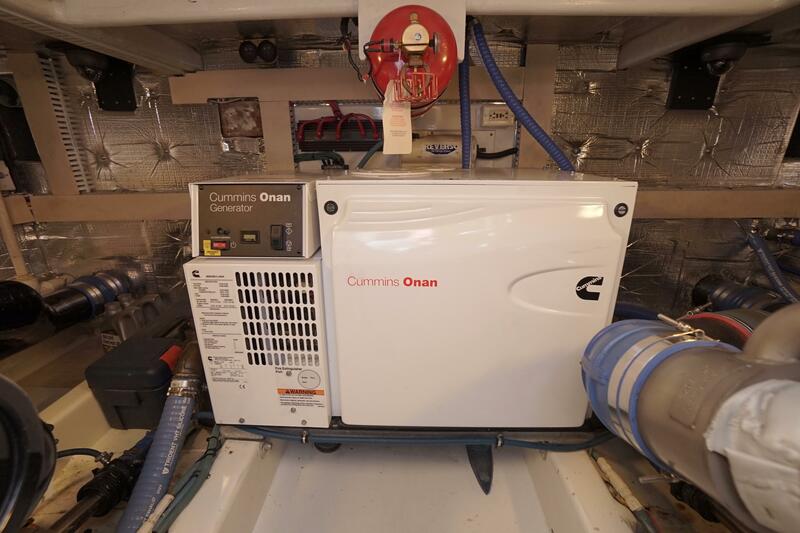 All new pumps and hoses throughout "KNIGHT KAP", New Generator, New tides cutlass bearings, New rudders, New exhaust risers, New props and New soft goods on helm deck and below - almost every system aboard was touched. 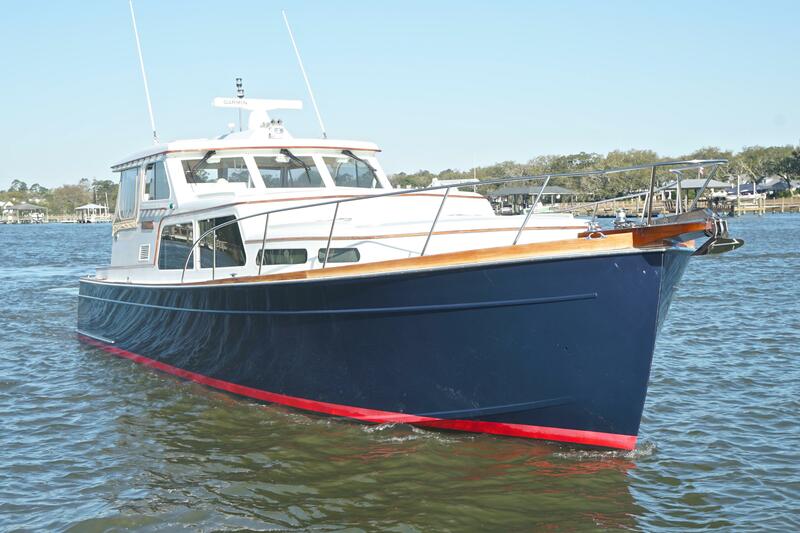 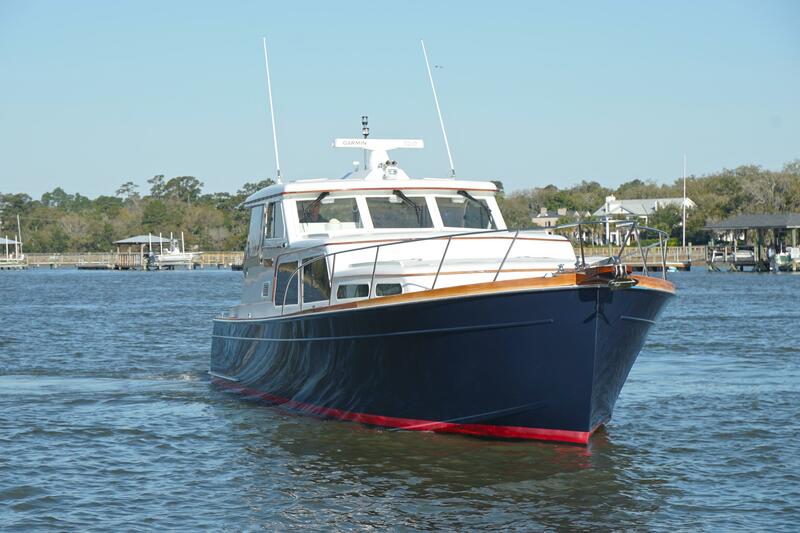 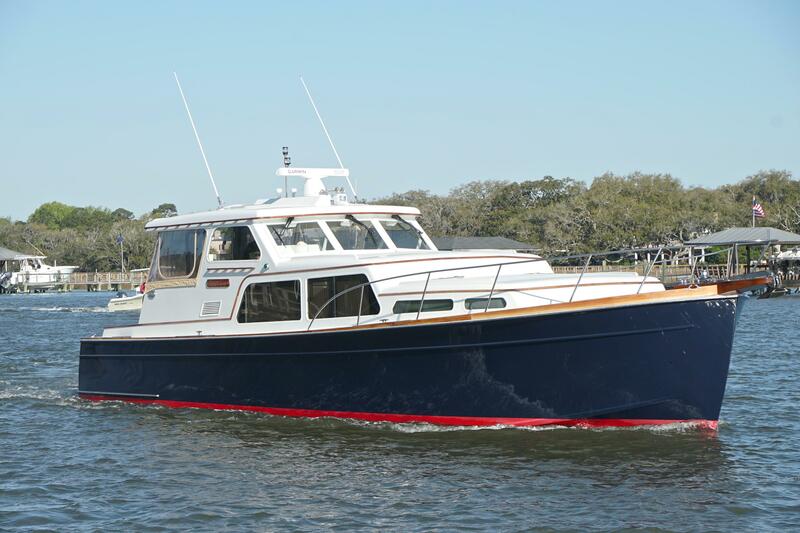 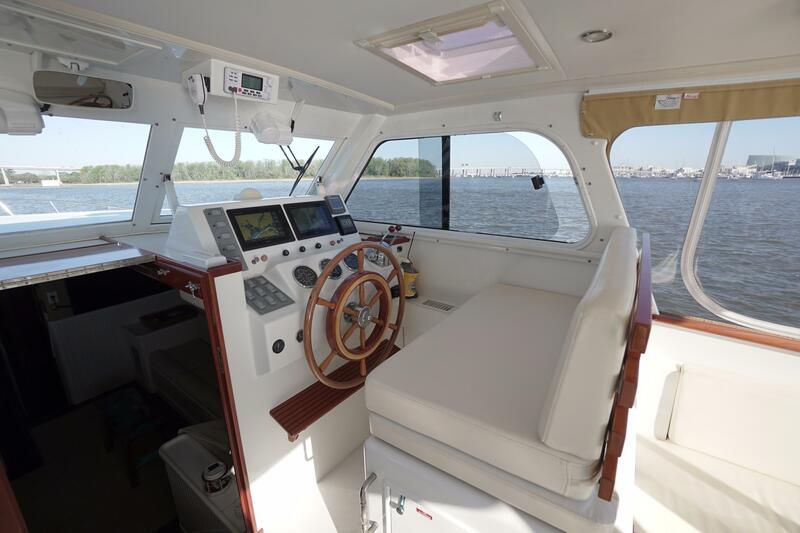 Now, 2003 44' HUCKINS "KNIGHT KAP" is in perfect shape for her next owner to give her the cruising she deserves. 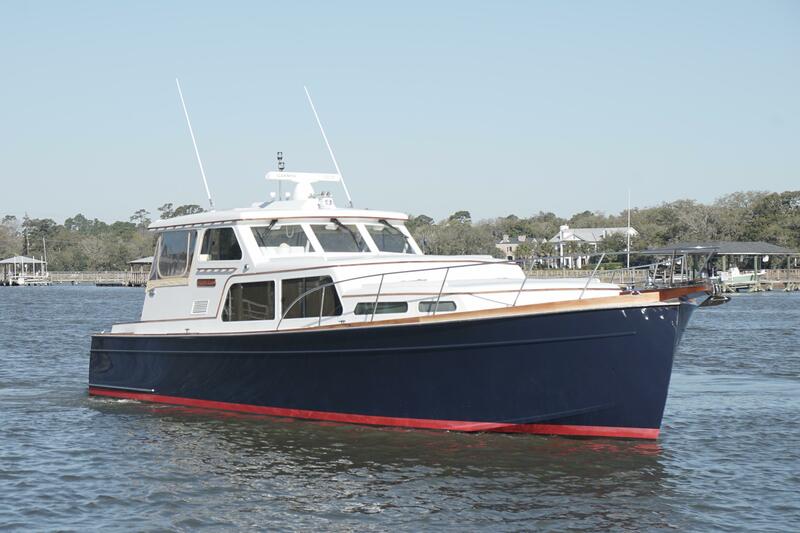 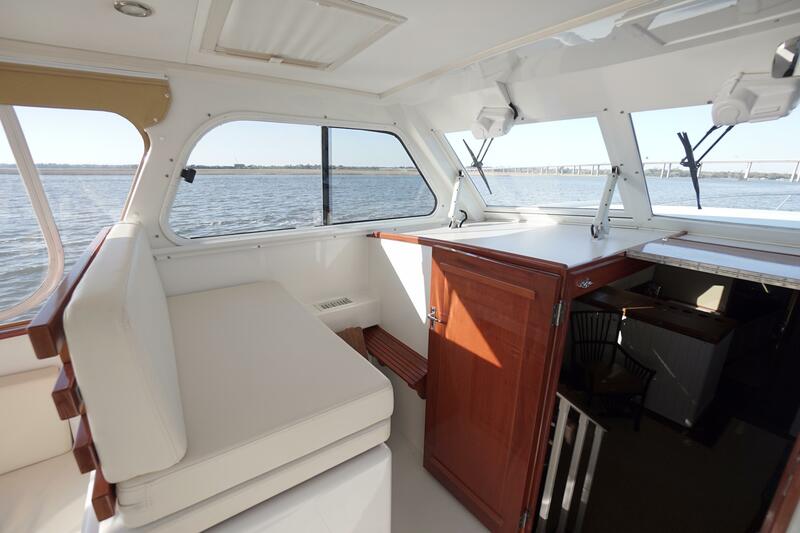 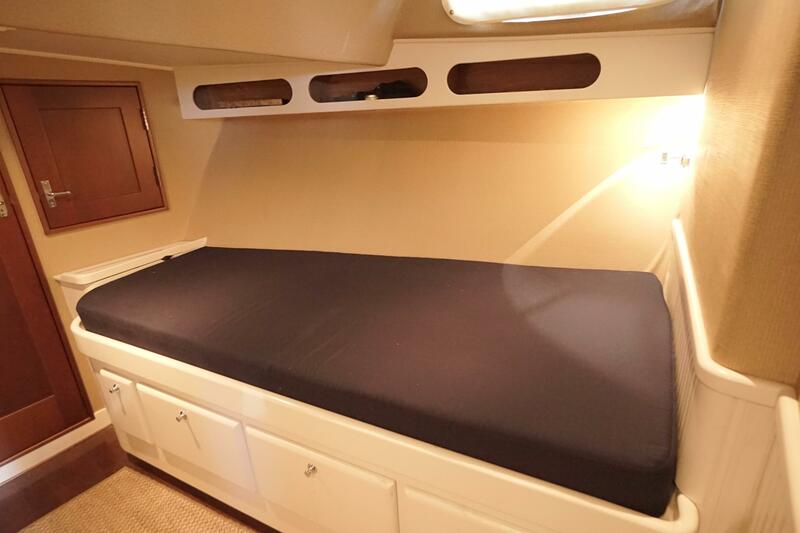 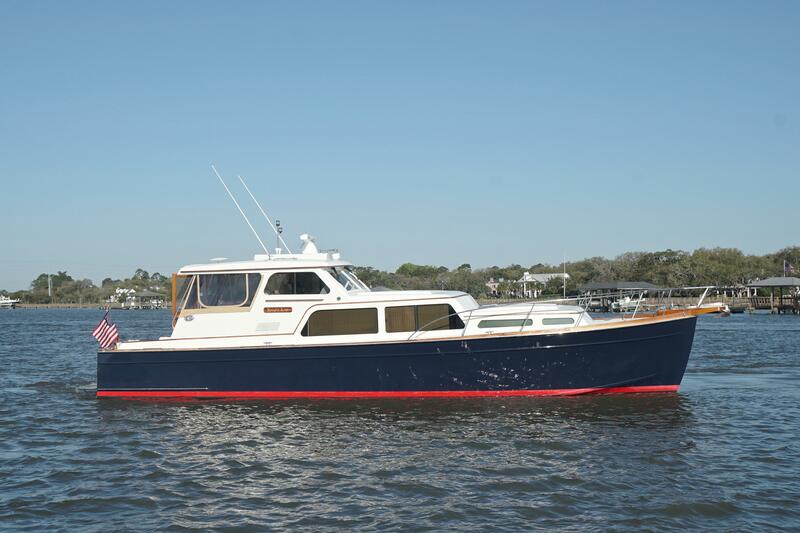 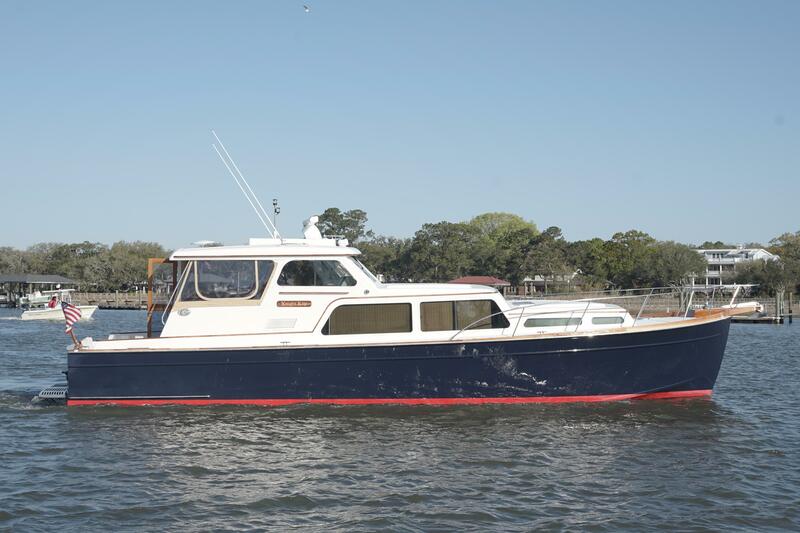 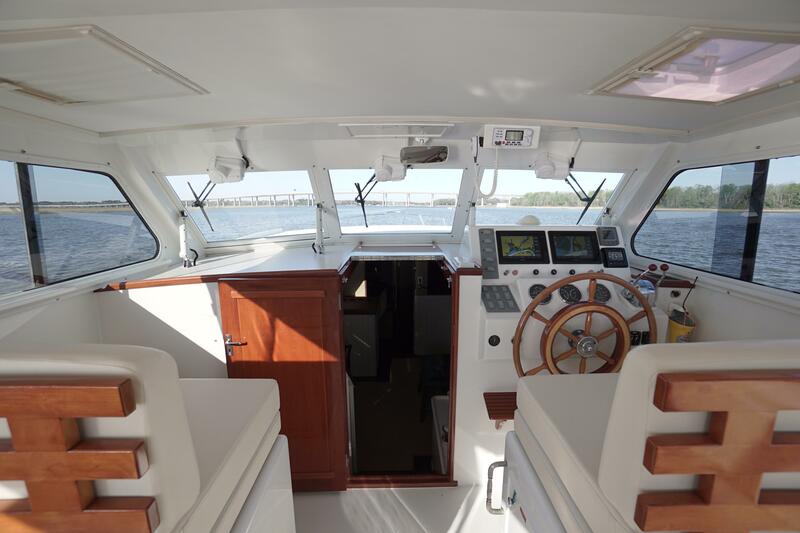 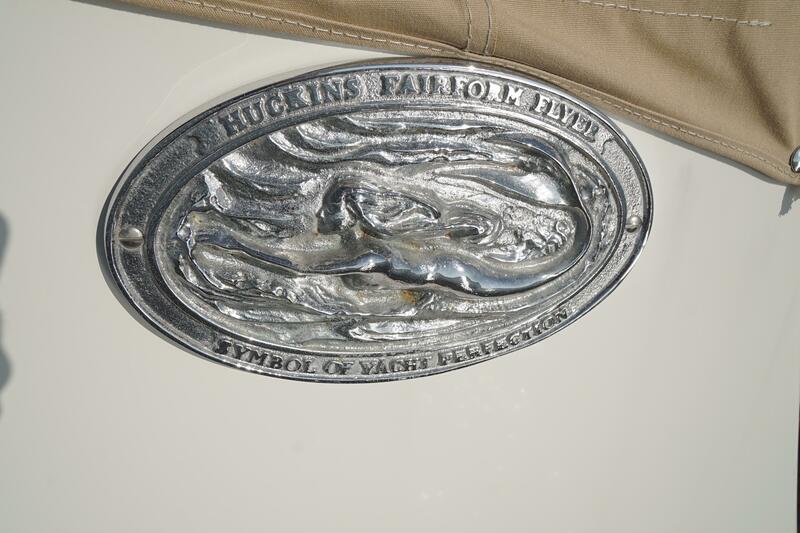 In her condition, this HUCKINS 44 will certainly return many years of enjoyment and safe cruising. 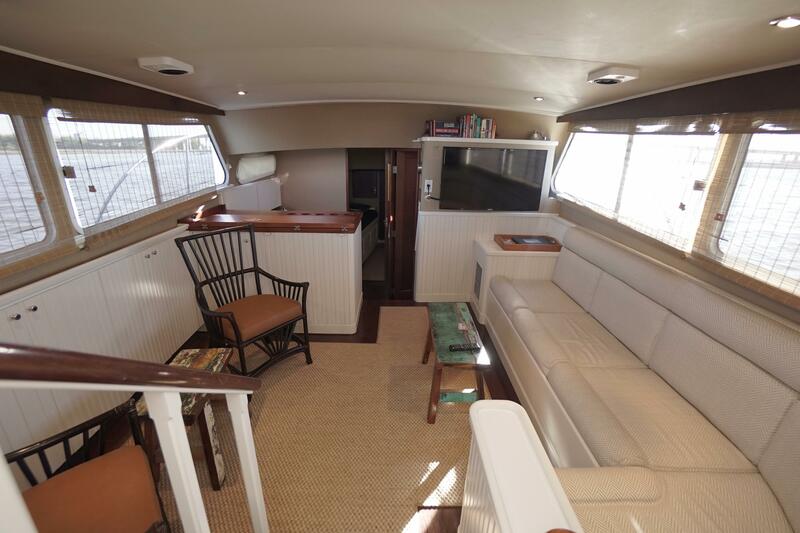 The layout of "Knight Cap" flows from the teak-lined aft cockpit up into her spacious, fully enclosed bridge deck, stepping down into an open Salon with a convertible "L" shaped settee to starboard that converts to a double bed. 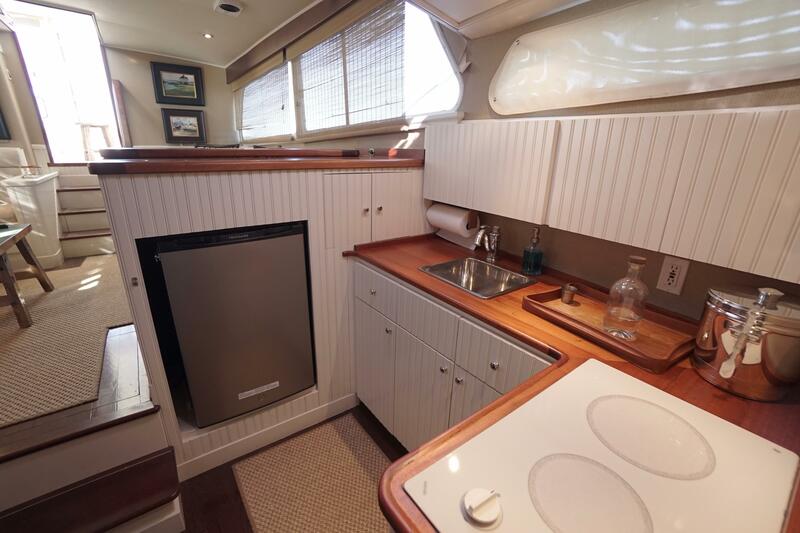 Her forward stateroom accommodates two in single berths, port and starboard, with ample cedar-lined closet space in the fore peak. 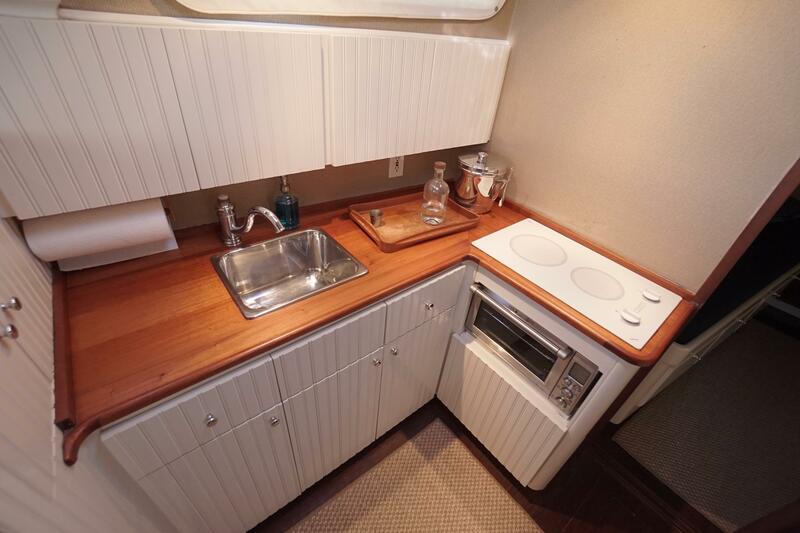 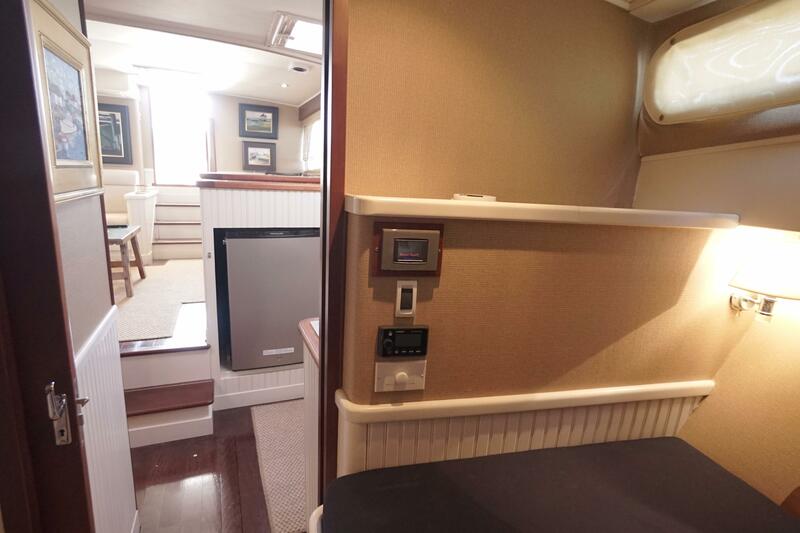 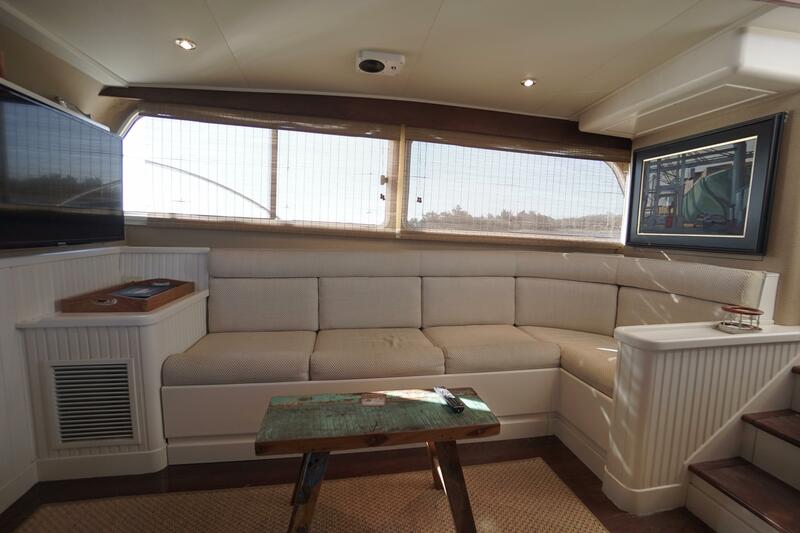 To port, in the salon, is a galley with an electric stove top, microwave, refrigerator and sink. 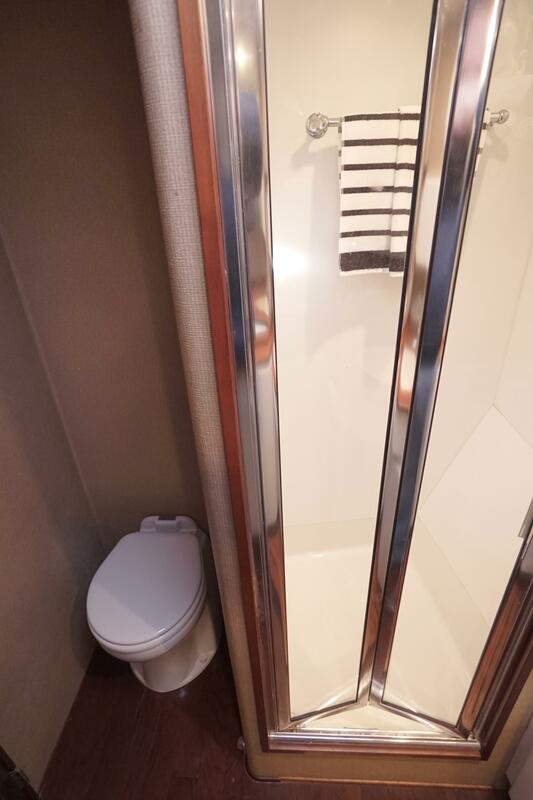 To starboard is a head with sink and spacious shower. 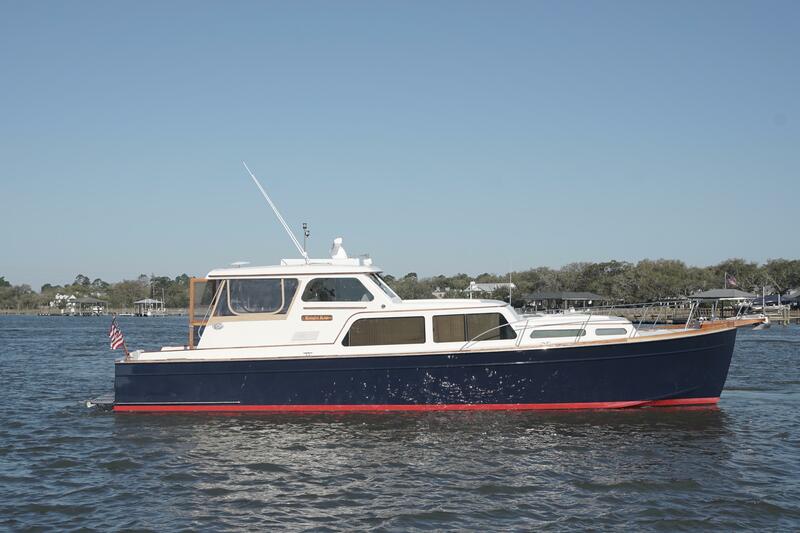 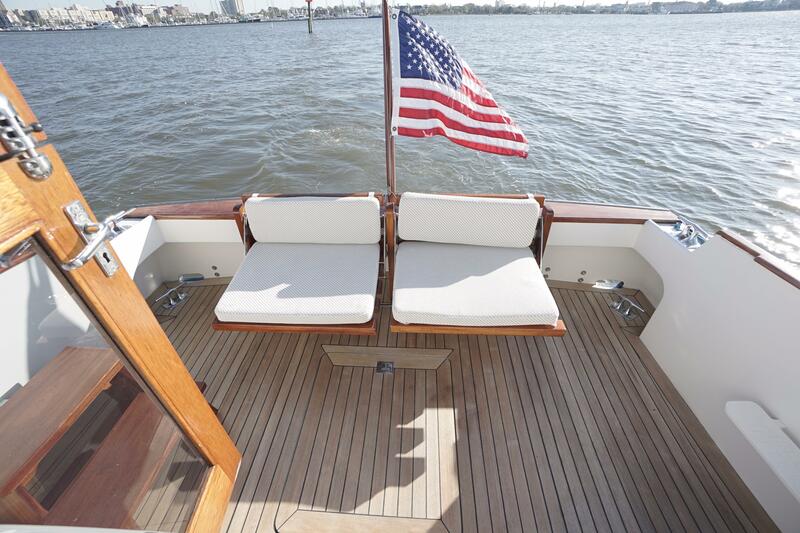 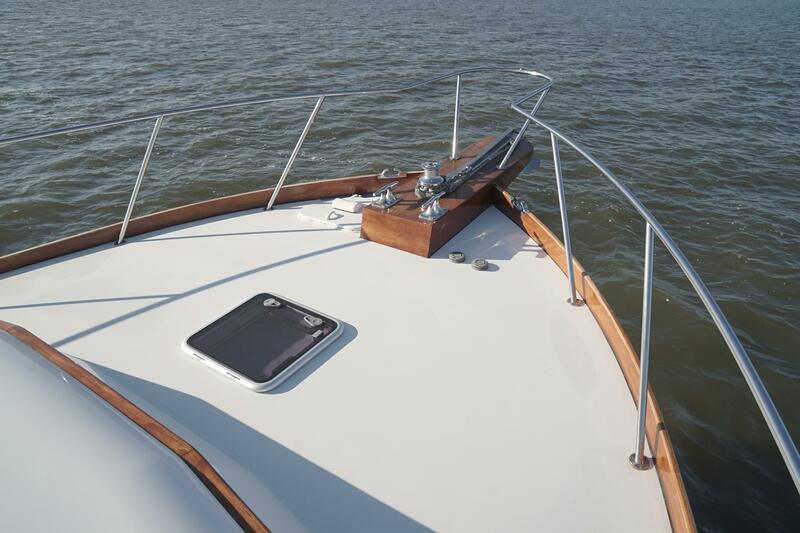 The 44 Atlantic is well-suited for entertaining and day boating, as well as extended range cruising. 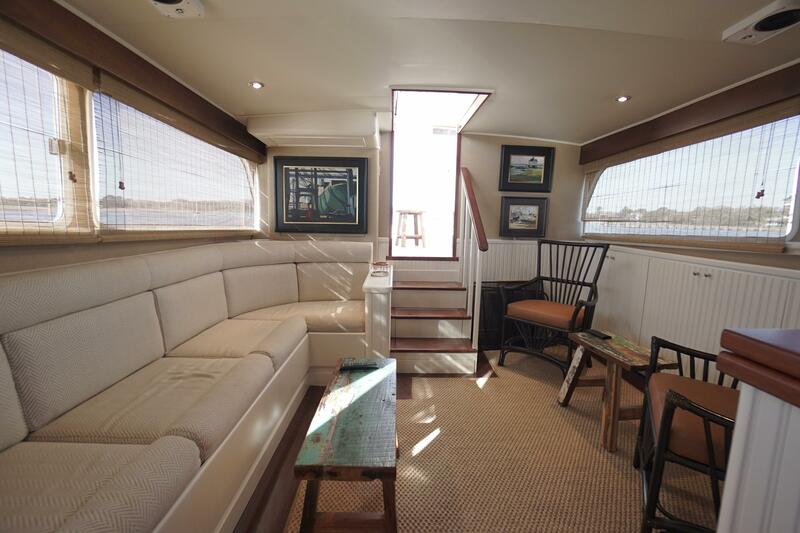 Her large windows, open and bright styling is a refreshing departure from often crowded and dark contemporary interiors. 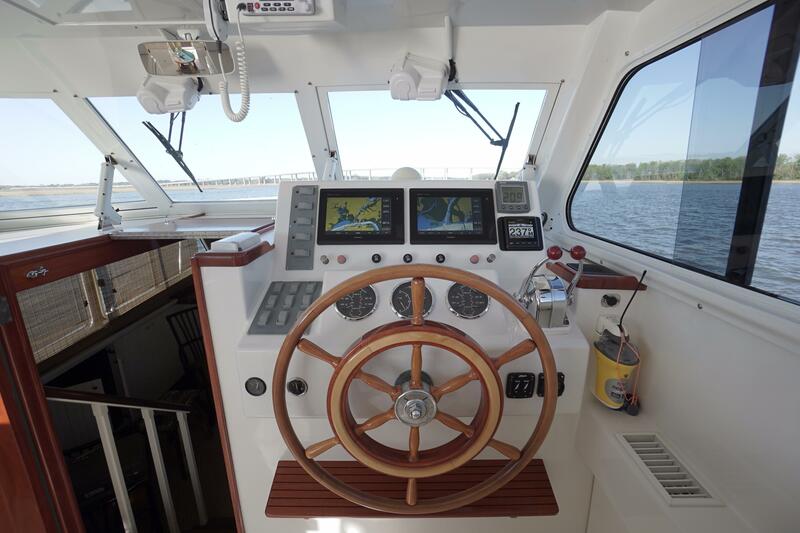 She has the navigation aids one would expect, all arranged in a simple and well laid out helm station. 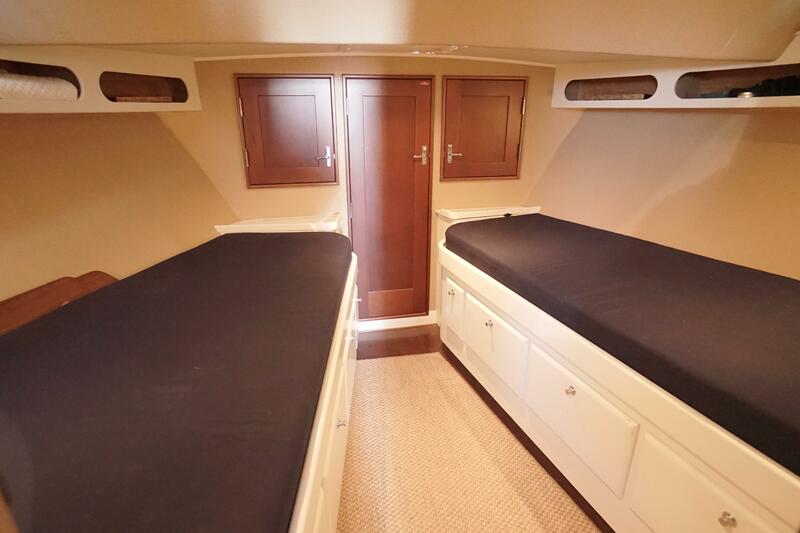 There is seating for eight comfortably in the mid cabin - fifteen people can be seated throughout the boat while underway and over twenty people comfortably aboard at hull speeds for cocktailing. 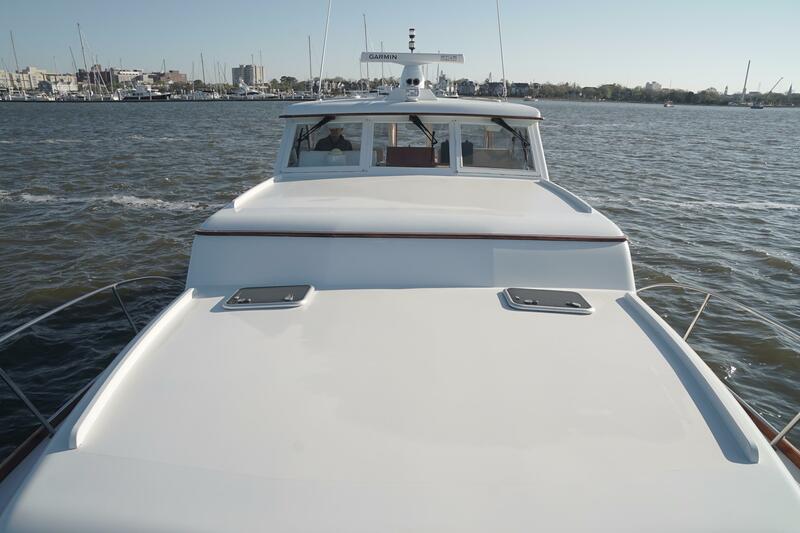 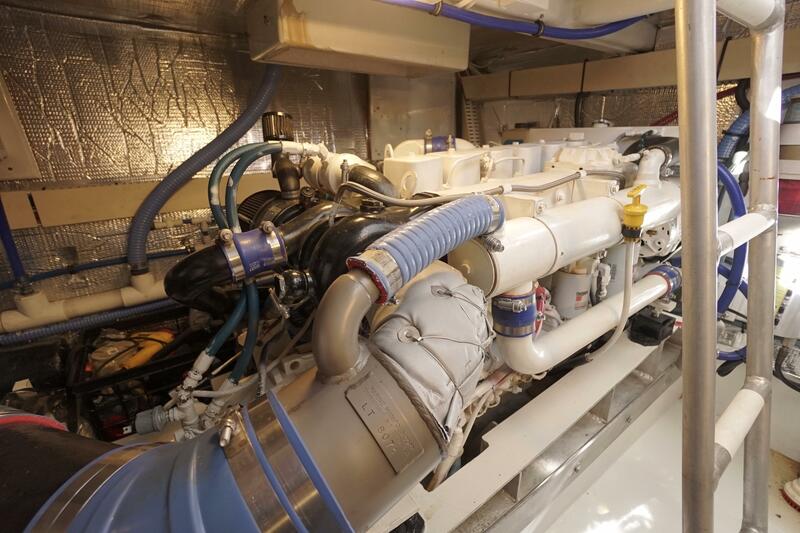 Twin Cummins 480hp 5.9 Diesels effortlessly push "Knight Kap" through big water with a smooth ride. 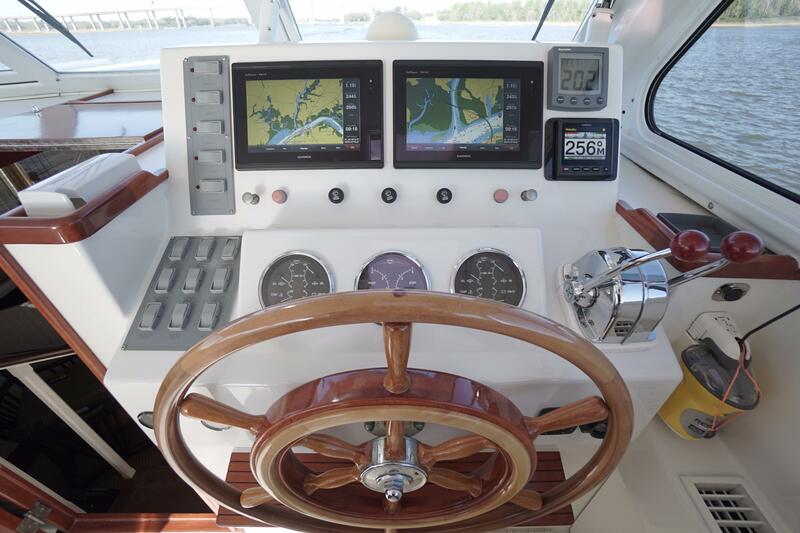 She is capable of a top speed over 30kts, cruising nicely at 26kts.